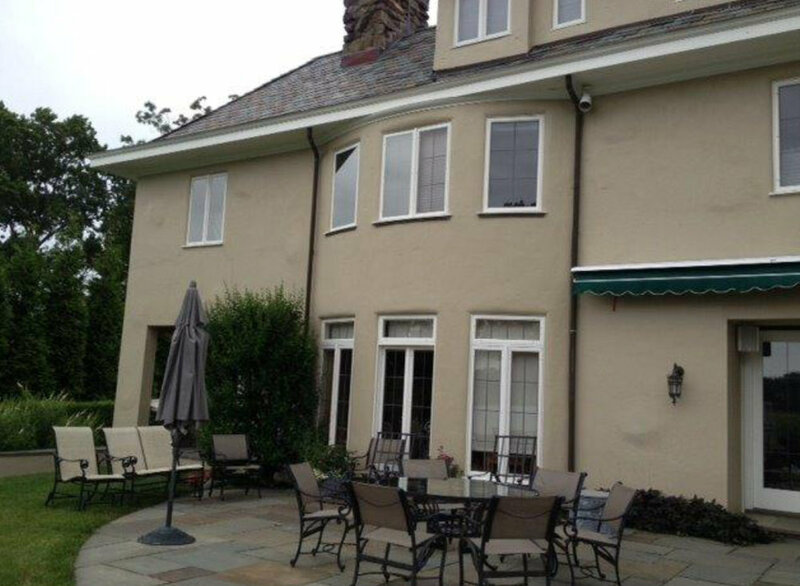 Davenport Home completed a renovation bringing this waterfront colonial up to today's standard of living. The formal rooms of the house were refreshed along with new roof and new windows. Extensive landscaping work was done including a new pool and accessory building built overlooking Long Island Sound. New formal entry and circular drive for Larchmont, NY residence. New windows with shutters, front porch, and custom landscaping.